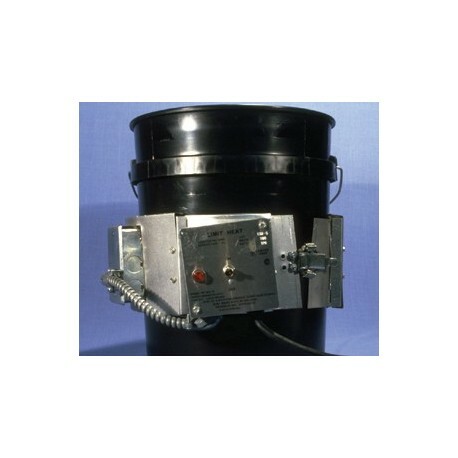 This HEAVY DUTY PAIL - DRUM WARMER improves ink or coating flow properties. Totally integrated heating systems feature wraparound spring fasteners and encapsulated thermostatic controllers with adjustable settings. Utilizes durable, multi-strand, nickel-iron heating elements insulated with fiberglass and laminated between 2 layers of silicone-impregnated fiberglass cloth with dense grounding grid. Adjustable thermal switch ranges from 50-450°F. 5 Gallon unit is for standard steel pails with 11-1/4" diameter. 4.6 Amps, 120V AC, 550W. Includes 6 ft power cord and plug. 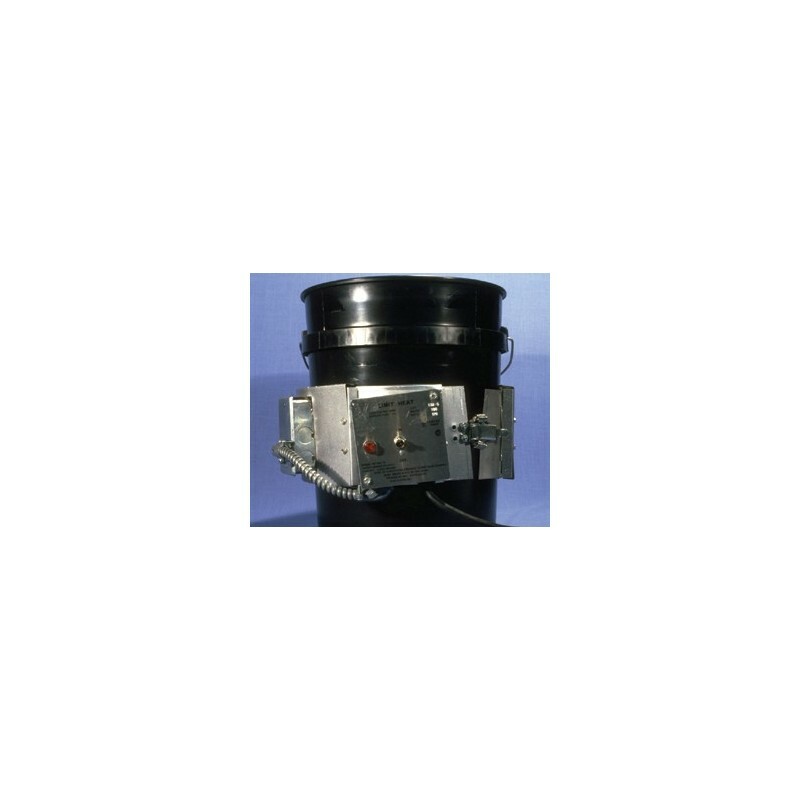 55 Gallon unit is for standard steel drums with 22-1/2" diameter. 5 Amps, 240V AC, 1200W. 55 Gallon units do not include plugs.